Elizabeth “Bess” Throckmorton was born the 16th of April 1565, to Sir Nicholas Throckmorton and Anne Carew. Nicholas Throckmorton was a diplomat and politician during the reign of Queen Elizabeth and was instrumental in the relationship between Elizabeth and her cousin Mary, Queen of Scots. He had befriended both queens, which must have put him in several awkward situations. One of those situations happened in 1565, when Queen Elizabeth sent Throckmorton to Scotland (as an ambassador) to stop the marriage of the Scottish Queen to Henry Stuart, Lord Darnely. As many of you know – he failed at his cause. In February 1571, when Bess was nearly six years old her father passed away. In 1584, at the age of 19, Bess went to court and became a lady-in-waiting to Queen Elizabeth. Eventually she became Gentlewoman of the Privy Chamber. She was responsible for dressing the Queen. A very intimate job, indeed. 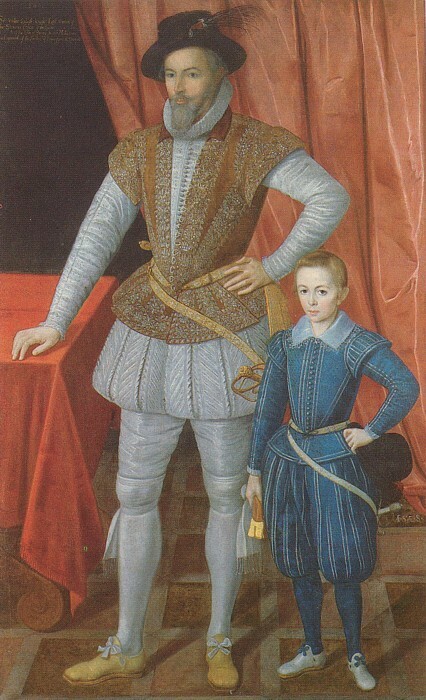 Bess and her younger brother, Arthur were both courtiers during the reign of Queen Elizabeth. Bess was described by her contemporaries as ” intelligent, forthright, passionate, and courageous”. After six years at court (roughly 25 years old) the still single Bess met Walter Raleigh who was quickly becoming one of the Queen Elizabeth’s favorites. As a lady to the Queen it was necessary to get permission to be courted. The Queen must give her approval of any man wishing to court one of her ladies as they were supposed to be seen as extremely virtuous women. 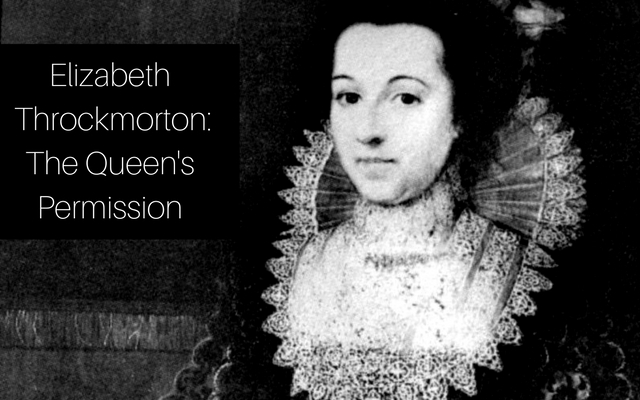 Bess Throckmorton and Walter Raleigh had a secret and intimate relationship without the permission of the Queen. By July 1591, Bess Throckmorton was pregnant – she secretly wed the father of her child, Sir Walter Raleigh. Bess understood the seriousness of getting married without permission from Elizabeth, but what was she supposed to do? She was pregnant with the child of the man she loved. She most certainly would have been aware of Elizabeth’s reaction to her secretly marrying one of her court favorites. As we’ve learned in the past (ex. Lettice Knollys and Robert Dudley) Elizabeth did not handle these situation well. Bess must have been aware of this. She left court to stay at her brother Arthur’s home in London and gave birth to a son there in March 1592 – he was named, Damerei. Not long after her return to court Bess’ marriage to Sir Walter Raleigh and the birth of their child was discovered by Queen Elizabeth. They were both thrown into the Tower of London. In October 1592, young Damerei died from the plague. After the death of their son the Queen chose to release the couple. Queen Elizabeth never forgave Bess for her betrayal and Raleigh was ordered not to be seen at court for one year. Bess never returned to favor. This is a similar tale to the one we heard about Lettice Knollys. She also never returned into the favor of her dear cousin, the Queen. It appears that a woman who was closest to the Queen must not fall for anyone the Queen dearly loved, or she would lose the love of her Queen. In 1593, Throckmorton and Raleigh had another son, this one they named Walter. In 1605, Bess gave birth to another son named, Carew – after her mother’s side of the family. At the time when Bess gave birth to their son Walter Raleigh was in the Tower of London. After the ascension of King James I of England/James VI of Scotland, Raleigh’s enemies had found a way to convince the King that he was a threat and that is the reason he was imprisoned. After many appeals by Bess, her husband was executed on the 29th of October 1618. Bess is said to have kept her husband’s embalmed head with her until the day she died. At which point it was reunited with its body. Maybe she had found happiness but knew she couldn’t keep it. I think it would have been impossible for her to be married. I think The Queen was a hurt woman, probably did what was called for at the time. Was this Bess of Hardwick. One of the richest women in England thanks to wealthy husbands dying. 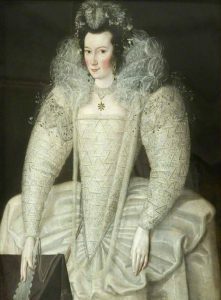 Bess of Hardwick was Elizabeth Talbot, not Throckmorton.